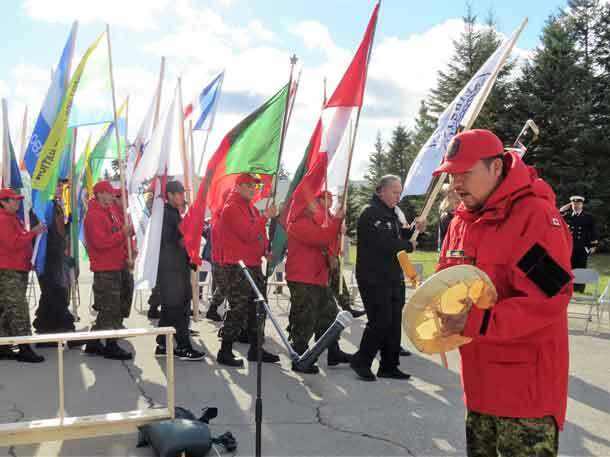 CFB Borden – A unique military event has celebrated Aboriginal Veterans Day, the 25th anniversary of the founding of the Canadian Rangers in Northern Ontario, and the renaming of their headquarters building at Canadian Forces Base Borden. The Rangers are part-time army reservists. 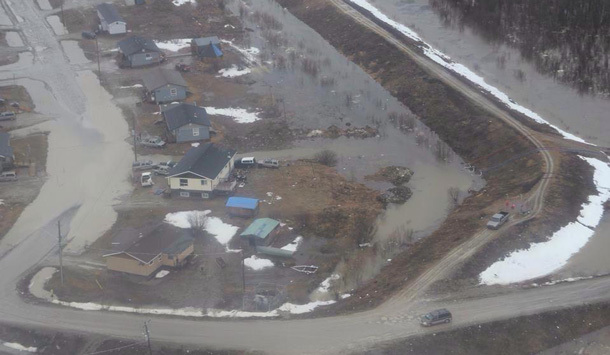 They are frequently called on for search and rescue missions and to help in flood, forest fire, and other emergencies in Northern Ontario. 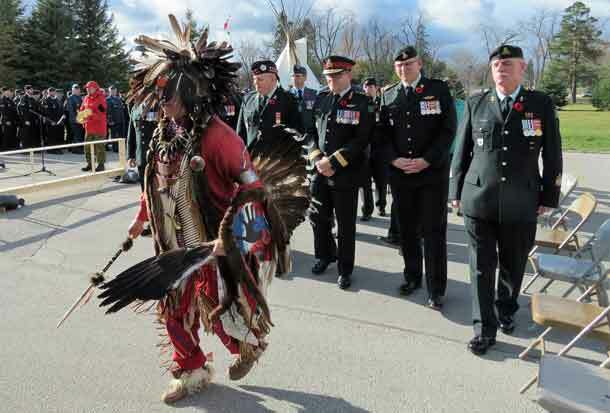 Brigadier-General Jocelyn Paul, the commander of 4th Canadian Division, the military name for the army in Ontario and the Canadian Armed Force’s highest ranking Indigenous member, said he was impressed by the event. 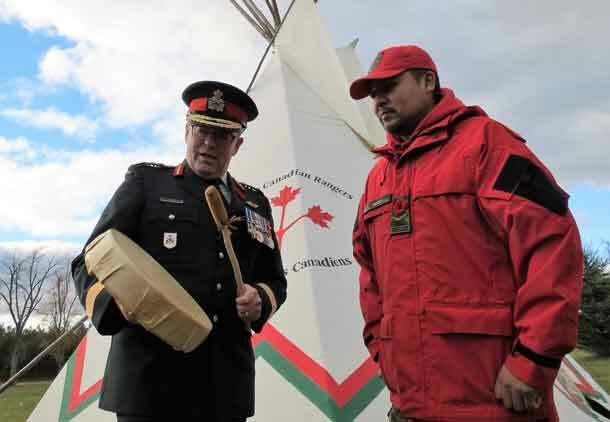 It began with a Grand Entry, pow wow-style, with eagle staff carriers and bearers carrying flags ahead of a traditional dancer and drummer (both Canadian Rangers), troops and visitors, all of whom were smudged by 12-year old Tyrell Taylor, a 12-year-old Junior Canadian Ranger from Constance Lake First Nation. A highlight of the event was the rededication of the Rangers’ headquarters building after Sergeant Francis Pegahmagabow, who was awarded the Military Medal and two bars (the equivalent of three Military Medals) during the First World War, making him Canada’s most highly decorated Indigenous soldier. As a sniper, he is unofficially credited with 378 kills. 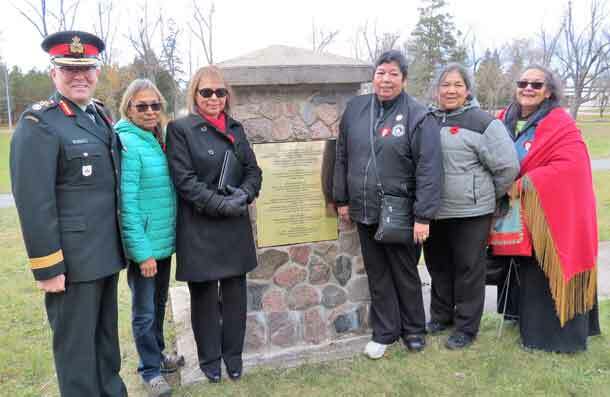 He returned from Europe to serve his community, the Wasauksing First Nation, near Parry Sound, as a councillor and chief and play a leading role in securing Indigenous rights at the national level. 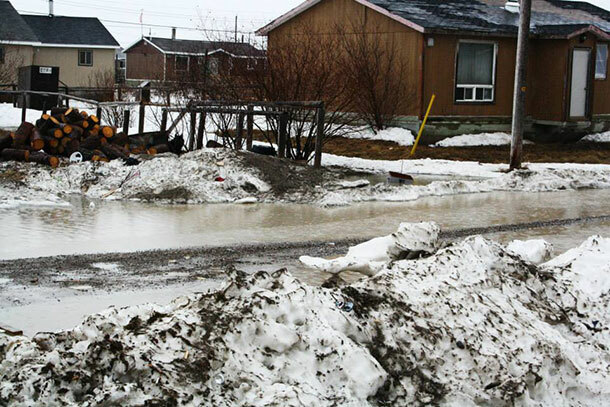 The Ranger headquarters building is now the Company Sergeant-Major Francis Pegahmagabow, MM, Building. 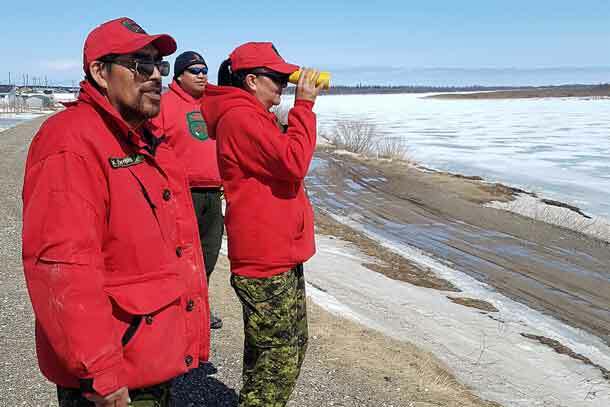 He said the growing presence of the Rangers in the First Nations of the Far North of Ontario is important and gives him confidence as the army commander in the province.